In this short commentary, Thomas Renard evaluates the necessity, desirability and feasibility of an EU Army, as recently called by Jean-Claude Juncker. In 1986, the British rock band Status Quo recorded its famous hit ‘In the Army now’. Few days ago, European Commission’s President Jean-Claude Juncker shook up the EU’s own status quo, by defending the idea of an EU army in the pages of a German newspaper, Welt am Sonntag. Although the very idea of an EU army is fairly old, Juncker’s call triggered a large number of reactions, positive and negative. 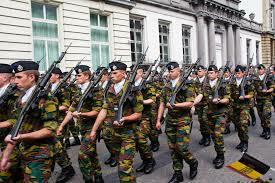 This short comment focuses on three main questions: is a European army necessary? Is it desirable? And is it realistic at all? To be fair, Juncker clarified that such European army would not need to be used ‘immediately’, perhaps assuming that its set-up would deter Russia from further hostile behaviour. It was thus essentially presented as a deterrent force. This logic can be questioned, however. Indeed, the EU has already a large scope of legal tools and military resources that should be sufficient to deter any enemy state and even to project European power worldwide. What is missing, nonetheless, are concrete and effective implementation mechanisms. For instance, the EU’s ‘mutual defence clause’ (art. 42 of the Lisbon Treaty) could be a powerful complement to NATO’s article 5, if only it was credible. 28 armies could deter Russia as effectively as one, for that matter. ‘To be taken seriously’, the EU needs concrete deliverables in the area of defence and security, even in small doses, and not another paper tiger. Finally, one should ask: is Juncker’s call realistic? Unsurprisingly, the answer needs to be nuanced. In the short term, there is clearly no appetite for such project among most EU Member States. The importance and perception of the military varies a lot across Europe. There are big and small armies, those with stable/growing budgets and those with shrinking ones, those that can do all types of operations and those who have specialised, etc. Divergences over foreign policy issues and the future of the EU more generally further decrease the likelihood of such project, for now. In the longer run, of course, everything is possible. Defence (and intelligence) is likely to be one of the last realms of EU integration, but given how far integration has reached, it cannot be deemed impossible. The federalist logic, after all, is a very powerful one. Night is falling and you just can’t see, is this [EU] illusion or reality?